Historically, Baumstam figures among the true great krautrock legends still alive and productive (next to Jane, Birth Control, Grobschnitt, Epitaph). The band has been formed in 1972 in West Germany. During this early period the band featured Ulrich ("Uli") KLAWITTER on vocals and guitar, Michael ("Bich") LOBBE on guitar and Michael ("Hüne") WILLECKE on bass. In 1974, Volker WOBBE (bass) came along for "Hüne" who left the band. They musically incorporate blusey-inflected rockin' improvisations admitting a few proggier tendances. 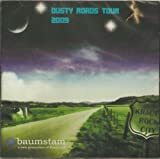 BAUMSTAM is essentialy a live band, touring in Germany for various clubs, concert places, open-air festivals, for different public audiences. A extremely rare and cult album called "On tour 75" saw the light during the 90's. It contains some raw materials taken from live performances. Musically, the live materials collected oscillate between extended heavy guitar improvs, fuzzed out freak'n roll songs and moody psych-melodic ballads. The band dissovled in 1977 because members didn't success to reach a signature on Deutschen Grammophon label. In 2004, after a long time break, the band reformed, including initial members (notably the guitarist and frontman Ulrich KLAWITTER) and new musicians from the young generation (Anna WEIGAND, Adrian KLAWITTER). This rebirth is the occasion for the band to play on stage and to participate to the recent re-discover of krautrock and German progressive rock. In 2005, the actual line up recorded a new album called Dreams of Yesterday which is said to be in the direct vein of BAUMSTAM'ss original musical identity. In September 2008 a new reissue of the "on tour" came out on Green Tree-label. There are 2 brand new songs as bonus tracks on this CD. 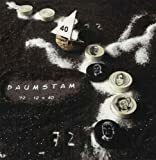 Baumstam is a 70's obscure fuzzed out and spacey rock 'n roll band with heavy guitars and nervous (sometimes melodic) vocals. "On tour" is the unique testimony of a band which totally disappeared. The album oscillates between conventional garage, power rocking chords and warmer, floating spacey rock tunes. The dominant are the fuzzy guitars, constantly built around rockin riffs and buzzing solos. Their musical approach can be compared with stoner rock classics, German Oak (without the lugubrious acid vein), British heavy rock standards (thinking about the very first Deep Purple) and the bluesy rock of Rory Gallagher. The opening track is a fuzzed riffed heavy "trip" with vocals. Lucky strike is in the same mood. "Hold me" is a more melodic, refined song, including emotional fuzzing solos parts and shining vocals. "Jazz Break" is an urgent, wild freak'n roll excursion.The band doesn't sound amateurish at all and their songs could written by the most notorious bands of the genre. A decent addition for fans of progressive heavy rock bands.